This is one of the most common questions we hear from parents with infants. While each child develops at their own pace, there are some key milestones to watch for at certain ages. Let’s review those developmental milestones and how to handle any concerns with your child’s development. Babies are constantly changing. They are developing fine and large motor skills, social skills and emotional needs. It’s an exciting time for both parents and babies! It’s important to remember that no two children develop at exactly the same pace. However, there are ages at which you should expect some key developments - starting at just one month. These are some of the questions you’ll hear at each well visit with your infant. Monitoring development is an important part of your child’s well visits. 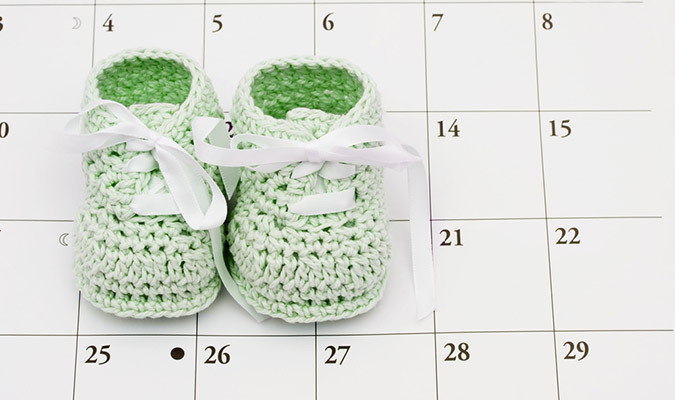 One month: Is your baby alert when awake? Does he wake himself for feedings? Two months: Can your baby track motion with their eyes? Is she starting to smile? Four months: Is your baby rolling over? Reaching for things? Smiling, cooing & putting things in her mouth? Six months: Can your baby reach for an object and transfer it from hand to hand? Has he started getting up on all fours? Nine months: Big changes are afoot at this age! You child might be saying one word consistently (often da-da because the ‘d’ sound is easy for infants to make). 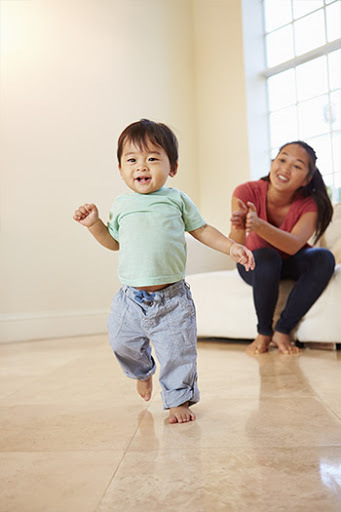 Has your little one started crawling? Sitting independently? Some babies are also pulling up to stand, drinking from a sippy cup, and starting to use a pincer grasp. 12 months: Any first steps? Two or more consistent words? 15 months: How many words does your child regularly use? Can your baby use a spoon to feed himself? 2 years: It’s hard to believe your child was a tiny infant just 14 months ago! Now your little one is probably running and climbing, has well over 20 words and even phrases as part of the vocabulary. Here at Northpoint Pediatrics we hand out an information sheet with each well-child visit that many parents find helpful. The sheet includes a section called "watch me grow" that gives you a heads-up as to what changes are coming next for your child. It’s good to have guides to help parents understand what is expected. Knowing what milestones are coming also helps parents offer appropriate stimulation and provide experiences that are interesting to your baby. Milestones are important, but they are benchmarks, not hard and fast rules. Watch your child. Make notes when you see them do new things. Make notes if you have concerns. There will be time for you to discuss all of this with your pediatrician at the well visit. It’s not unusual for a child to be slightly behind developmental milestones. As long as the skill shows up within four to six weeks, your baby is still right on track. Developmental delays do happen and should be brought to your pediatrician’s attention at your next appointment. If your child isn’t showing signs of a milestone eight weeks after a key age, it’s time to make an appointment with your doctor. 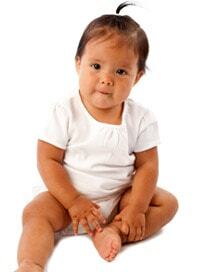 Your pediatrician can assess development and address options with you if needed.